There's one cut-and-dried fact coming out of Indiana Pacers territory these days: The team is ready to move on from Roy Hibbert. Before the weekend, multiple reports linked the Pacers to a trade with the Los Angeles Lakers for Roy Hibbert, with initial reports stating that the Lakers would absorb Hibbert's contract into their cap space. Now, however, things might not work out that easily. First, Eric Pincus of the LA Times reports that the Pacers, Lakers and Dallas Mavericks have been talking about the possibility of a three-way trade that could include Monta Ellis in a sign and trade to Indiana. Remember: With free agents, all deals to this point have simply been agreed to, and no deals can actually be put on paper until July 9th. That's why such a trade could still be discussed. 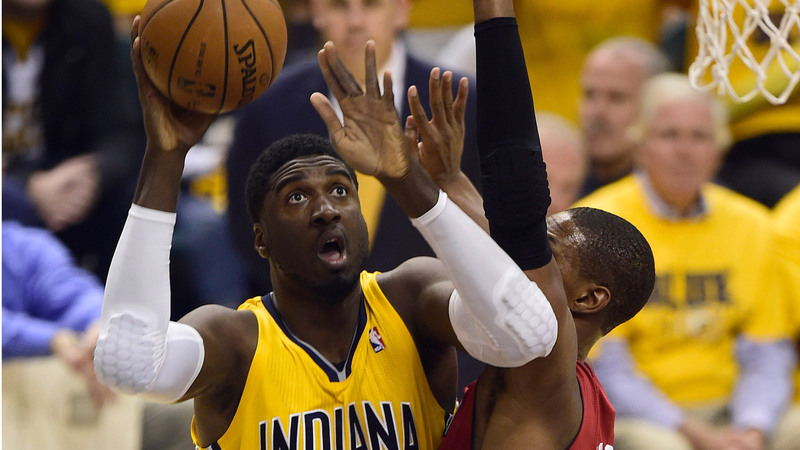 It is still possible the Lakers could include a player to Indiana in the Roy Hibbert trade, league sources tell Yahoo Sports.